Although FJ40s and Suzuki LJ-series trucks tend to get more attention from collectors, it’s hard to deny that the early Willys Jeep was effectively the American version of that same concept. 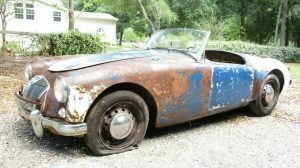 And more to the point, it was Willys that pioneered the idea of a small, cheap off-roadster that others began to copy as more and more civilians snatched them up. 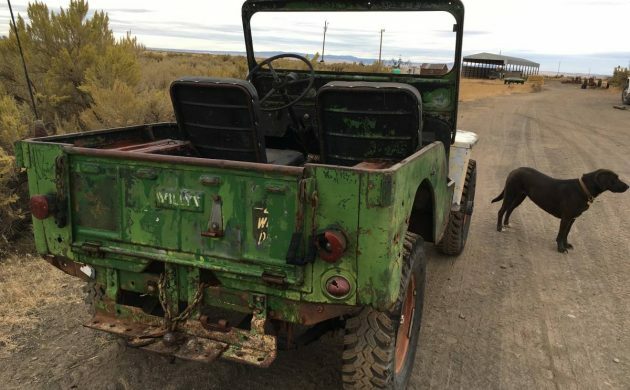 This 1949 Willys here on craigslist was spotted by Barn Finds reader Ikey, and it’s listed in Oregon for $3K with some pieces missing but running/driving well enough to drive home. The bodies on Willys Jeeps of this era seem destined to look rough. Just goes with the landscape, and nobody uses a pretty Jeep the way it was intended. 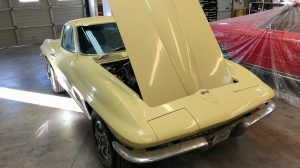 The seller notes that this example is completely original, from the motor to the transmission. It is missing glass in the windshield, so you may want to source replacement panels before a cross-country drive is planned. These aren’t pretty trucks, but they were never intended to be. 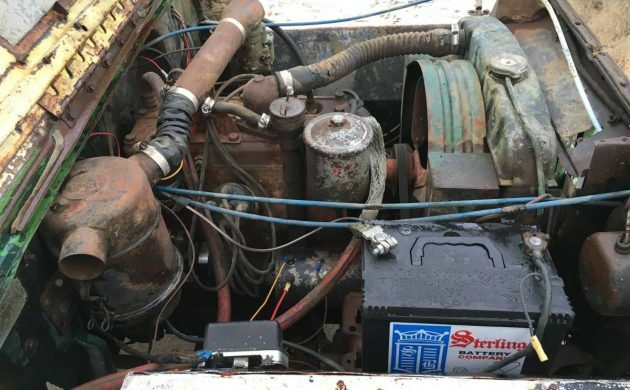 The motor is simple, utilitarian, and designed to be fixed by the side of the road with a paperclip and soda can. 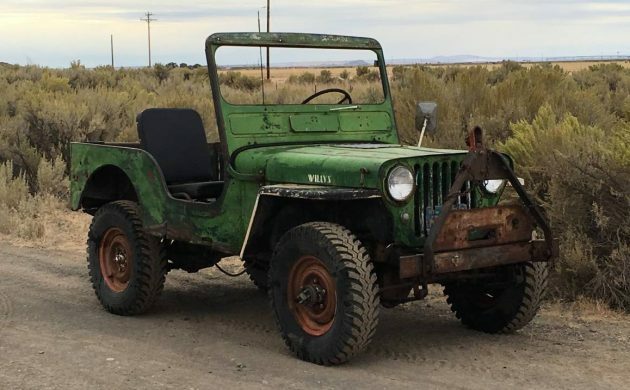 While the originality is nice to have, I’d like to hear what the seller has done recently to ensure this Willys can make a cross-country drive if need be. But perhaps it’s just that reliable that no other info is needed. 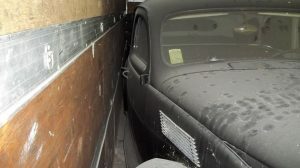 The Willys we sold as part of the large Georgia collection stash was much the same truck: not pretty, but it ran good and had nothing to hide. 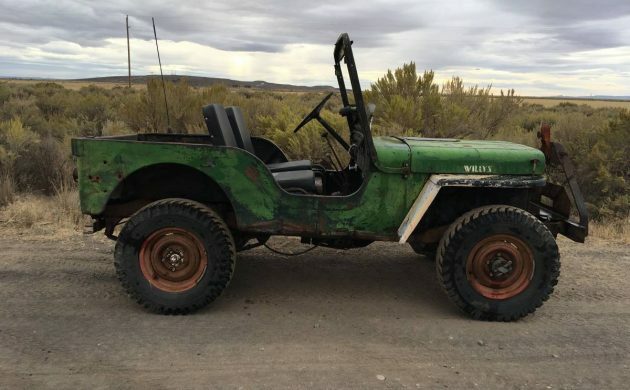 The knobby tires work well on this vintage Jeep, and while the one repaint looks like it was done with a house brush, it has to be refreshing to own a project you can paint outdoors with a roller without a care in the world. For the asking price, there’s loads of fun to be had. 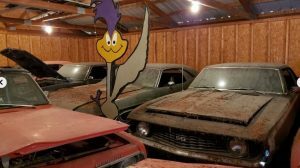 Jeff, if it hadn’t been for the original Jeep, there wouldn’t be any FJ40s or LJs for collectors to pay attention to. It was the first; the Japanese copies — and, for that matter, the Nissans and Land Rovers — came later. Somehow, I have no doubt this could be driven home. If, that is, the new owner had the time. I had a short encounter with an early CJ, which was probably the slowest vehicle I’ve ever driven. Not quiet or comfortable, either, but no one would expect it to be. Seems like a good price, for someone with a ranch or access to off-road trails. Jeff, at least in the case of the Japanese off-roaders, I think they actually did a better job, though perhaps not by all that much. 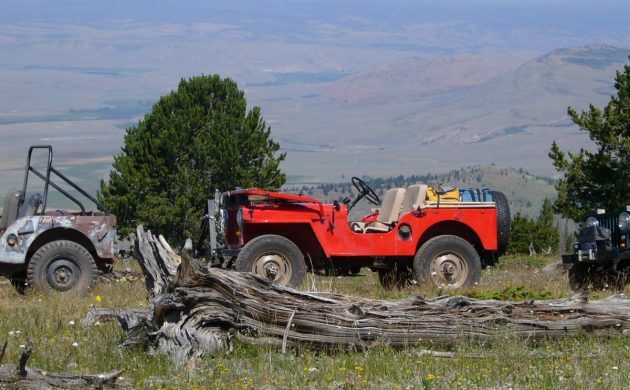 It’s possible that the original purposes — one (the Jeep) was primarily for the military, the others for civilians — inspired them to add a creature comfort or two…. Having driven all but the Nissan Patrol off-road at one time or another, I think I’d still go for a CJ if that kind of use was in my plans. At one or two mph, there’s not a great deal of difference, and Jeeps seem more durable (and simpler to repair) than the competition. No grave-diggers, though! Major strides have been made in off-road tire design, thank goodness! Since the “P” word makes me wretch, I’ll just say, this looks good the way it is. It’s far more representative of Jeeps we dealt with. Nothing fancy, no chilled cup holders, just a machine, everything had a purpose. Talk about basic, I had a friend with one like this, the plow ram was raised with a porto-power type pump in the cab. It’s hard to imagine, this morphed into the 4 wheel drive craze of today. Only a fool would drive this on a busy road today. Take it out back, where it belongs. If it’s all original (including the governor), I doubt many people would want to drive it across the country, anyway. I think the highest setting limited the engine to 2600rpm, which would likely be a little over 40mph. Even ungoverned and in perfect tune, I doubt it could do much more than 60 flat-out. Yeah, but what a way to tour the U.S.A.! I bet this isn’t going to last long at that price. The current LC and LR while still off road capable,they’re mostly meant for mall duty. 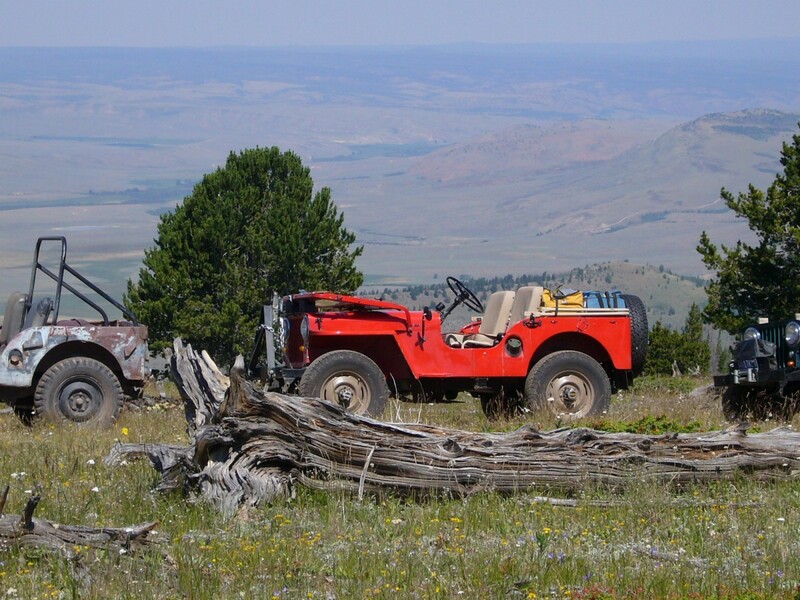 Then you have the Jeep Rubicon,a cousin of this Willys that can take on any trail and still stays true to its roots. While capable, unfortunately the Rubicon (being top spec) also attracts mall-cruisers. Most of the ones I see around here have never been off of the pavement. The Unlimited Rubicon is a bit larger than what I would want for rock-crawling, regardless. All Wranglers have gotten pretty heavy, too. The beauty of the Willys is the small dimensions and light weight, with a modest but torquey engine. That, and I think this one has a compression ratio of maybe 6.5:1, so its never really stressed and will drink just about any petrol swill you put in the tank. Yes, this. That’s exactly what makes these Willys Jeeps so great. Stand next to one and you realize it’s tiny. It’s also light and capable. Maybe it doesn’t meet our current idea of high horsepower off-roading, but I’d drive one any day. If you visit the mall,yes. I’ve seen lots of Rub’s on the trail tho. Just because you saw them there doesn’t make them less capable. No one said Rubicons weren’t capable. Land Rovers aren’t incapable, either, but many still show up at the mall with no mud under the fenders. What gets “mall duty” vs. what hits the trail is up to the owner. The point is, many modern off-roaders are bought for the status of their capabilities rather than for their intended use. Jeeps aren’t an exception. Fortunately, no one is going to buy this Willys for anything but its intended purpose. David Tracy from Jalopnik drove one of these from Michigan to Utah a couple years ago. If I remember right he averaged about 45 the whole way. I’m surprised this Jeep is still on Craigslist after 9 days. I wish it was in Colorado, I would be going to look at it. would U call em a “six, six, six”? 6:1 compression, 6:1 1st gear, 6:1 length to width? Truly the sign of the devil (motor nick name).